March Madness has reached its second weekend after a first week of “chalk” as the experts call it, as almost every favorite reached the Sweet 16. Although there were plenty of blowouts and uninteresting games throughout the first weekend, number one overall seed Duke played a scintillating game with ninth seeded VCU and barely survived. That game was the highlight of the first weekend and one of the better college basketball games I personally have ever witnessed. 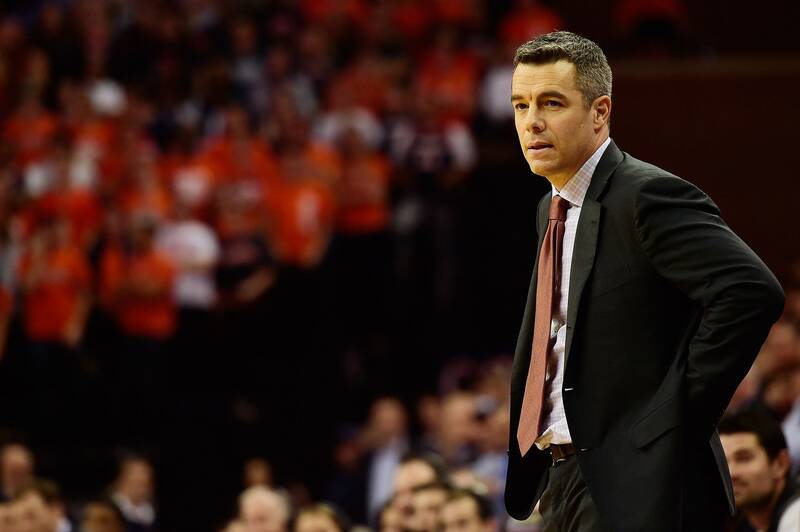 With most of the favorites advancing through the first weekend, we have now been treated with some heavyweight matchups for the Sweet 16 and beyond so that should lead to some fantastic action. The lowest seed to advance through two rounds was the Oregon Ducks, a 12 seed, the only team seeded below a 5 to reach the Sweet 16. Oregon, hardly a cinderella, beat five seeded Wisconsin in the First Round before taking care of the Anteaters of UC Irvine in the second round, and have actually now reached the Sweet 16 three of the last four seasons. About one week ago I made my predictions for how I thought each region would play out and although I did make some wrong selections, I still managed to have all eight of my possible Elite 8 teams still alive in the tournament. Now, I am going to preview every Sweet 16 matchup and who I believe will make it through the weekend to advance to the Final Four in Minneapolis. Let’s begin. In a heavyweight showdown of athleticism and well-coached teams, Mark Few’s Gonzaga Bulldogs square off with Leonard Hamilton’s Florida State Seminoles. Last season, Hamilton’s Seminoles took out the 4th seeded Bulldogs by 15 points in an upset and it seems as if the two are relatively evenly matched again this season. Florida State will be without 6 foot 8 Phil Cofer on Thursday, who tragically lost his father last week during Florida State’s tournament game and understandably Cofer will be away from the team with family during this tough time, our thoughts are with everyone involved in this horrible situation. The front court for Gonzaga is key to their possible victory here against the Seminoles, Brandon Clarke and Rui Hachimura have been tremendous for the Bulldogs all season and Mark Few will be reliant on them to produce against the athletes of Florida State. Josh Perkins and Zach Norvell will handle the backcourt for the Zags, Perkins an excellent passer and Norvell a knock down shooter. Terance Mann, Christ Koumadje and Mfiondu Kabengale all present athletic nightmares for the Gonzaga defense but I think the skill and discipline of the Bulldogs will be enough to barely sneak by 76-70 in a hotly contested matchup to reach the Elite 8. 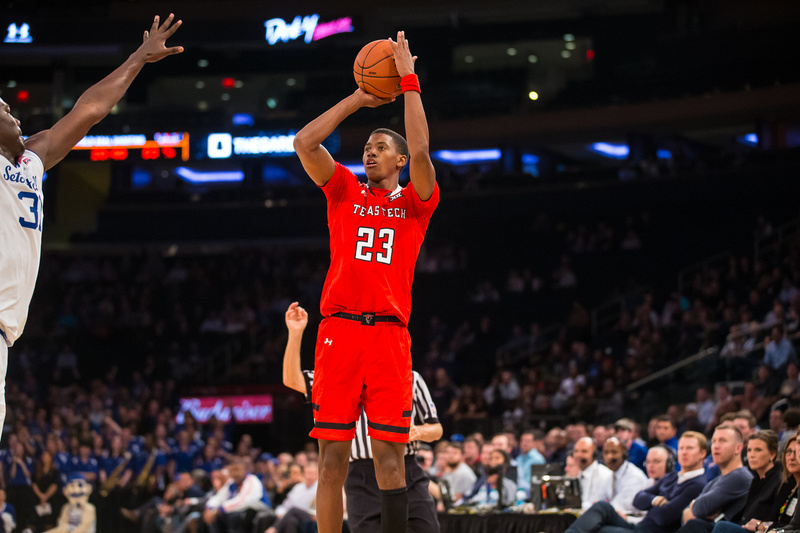 In what should be a defensive slugfest between the Red Raiders and Wolverines, Jarrett Culver for Texas Tech will be the best player on the floor in this matchup. Ignas Brazdeikis will be the key scorer for Beilein’s Wolverines in this one and it will be important for Michigan’s backcourt of Zavier Simpson and Jordan Poole to play well, particularly Poole’s shooting, if Michigan wants to oust Texas Tech. In the end, I think it will be Texas Tech getting the better of Michigan in this one. Michigan, from what I have seen, tends to go on spells where they cannot score, and against the suffocating Texas Tech defense, this is a recipe for disaster. I will take the Red Raiders 62-58 in a hotly contested matchup. Another close spread in this matchup between the Volunteers and Boilermakers, in what should be a tightly contested game. Tennessee has flashed National Championship potential in the first half of the first two games but in the second half have looked like they should not be in the tournament. Purdue, on the other hand, has seemingly been under the radar on their way to dismantling Old Dominion and defending National Champion Villanova through the first two rounds. I think Tennessee’s athleticism with Grant Williams and Admiral Schofield will be too much for the Boilermakers and the Volunteers will advance 78-70. That being said, it will be important for Tennessee to play a complete 40-minute game against a well-balanced Purdue team. The number one seed in the South Region, Virginia gets the lowest seeded team remaining in the tournament, the Oregon Ducks in the game with the lowest projected scoring total of all Sweet 16 matchups. This will be a slow, uninspiring game between two teams who will look to wear down the opposition. Virginia is clearly the better basketball team but Oregon is as hot as any team in America, so this will be closer than some might think. DeAndre Hunter will be the best player on the floor for the Cavaliers so I think they will have enough to oust the Ducks here. In a low scoring affair, I have Virginia advancing 57-51. Michigan State bounced back from a sloppy opening round performance against Bradley to absolutely throttle Minnesota in the second round to get right back on track. I think they should be favored against LSU in this one and they are by 6 points. LSU survived second half comebacks by Yale and Maryland to advance to the Sweet 16 but I think their luck will run out against the Spartans. Michigan State with Cassius Winston and Nick Ward will be too much for the LSU Tigers and I believe the Spartans will emerge victorious 75-64. Matt McQuaid plays phenomenal defense for Izzo’s crew and I think LSU being coachless will finally come back to bite them here. Michigan State advances to the Elite 8. The public will be all over Virginia Tech in this one. Everyone saw Duke struggle with UCF on Sunday evening on a national stage and will think that the Blue Devils are vulnerable. To some extent, this may be true, but not enough to make Virginia Tech a viable upset threat to the Blue Devils. I think Virginia Tech is a quality Sweet 16 team but not enough to potentially upset Duke here. Duke will be wired for this matchup after getting the UCF scare so they will be firing on all cylinders. Duke’s three point shooting is certainly something to be concerned with, as Tre Jones and R.J. Barrett seem almost incapable of making three point shots in the biggest of moments. Barrett can shoot the long ball but is more of a “scorer” and playmaker than a prototypical shooter. If he can find rhythm from outside Duke could win this big. I think it will be a tightly contested game for most of it but eventually think Duke pulls away and wins 80-70 to advance to face Michigan State. In what should be a game played at an electric pace, the North Carolina Tar Heels and Auburn Tigers have the highest projected scoring total in the Sweet 16. 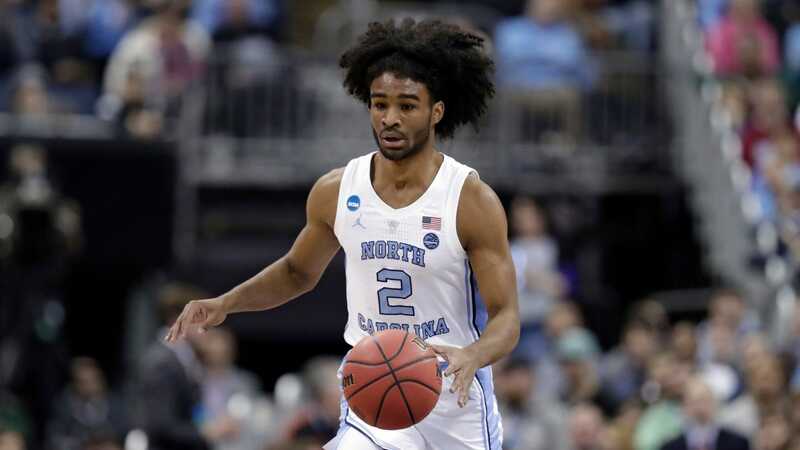 Sensational Freshman Coby White and sharpshooting Cameron Johnson lead the Tar Heels who are flying on all cylinders against Auburn. Luke Maye has been a spectacular performer for the Heels for four seasons now and never shy’s away from the biggest games. I think North Carolina will just be too much for Auburn in this game. Bruce Pearl will have the team ready to play but I think the two teams play an extremely similar style but North Carolina just has better players and the better coach with Hall of Famer, Roy Williams. North Carolina wins this game 88-80 and books a trip to the Elite 8. The biggest question coming into this Sweet 16 matchup is the health of Kentucky star P.J. Washington. If P.J. Washington is healthy for Calipari, I think Kentucky will have enough firepower to take down Kelvin Sampson’s Houston Cougars. We might not know if Washington is going to play before tip so that will leave me with uncertainty when making the selection in this game. At this point, I am going to assume Washington will not play and I think with that news, I believe Houston has the athletes to compete with Kentucky. So for now, I will take Houston 71-67 over Kentucky but if P.J. Washington plays, I think the script will be flipped and Kentucky will survive 66-65 in a classic game to close out the Sweet 16. Regardless, after a dull opening week of the tournament, I think the excitement will be ratcheted up for these matchups. Hopefully we will have plenty of close games this weekend and have the best teams eventually advance to the Final Four in Minneapolis.